Twelve post-secondary students from across the GTA, including four from the University of Toronto, are about to head back to school after having an unforgettable summer spent travelling the world. But what’s unusual about their experience is that their time abroad has the potential to influence urban policy for years to come. 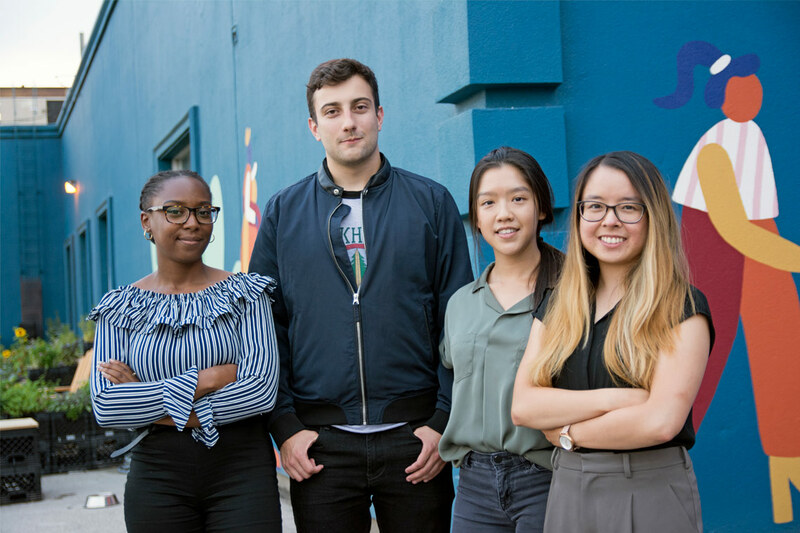 The students have been participating in a fellowship program organized by Sidewalk Toronto – a partnership between Waterfront Toronto, a government-led initiative to develop Toronto’s waterfront, and Sidewalk Labs, the subsidiary of Alphabet (which also owns Google) that seeks to use technology to improve urban living. Sidewalk Toronto is in the early stages of proposing a new community in Toronto’s Quayside, an undeveloped waterfront location that will be a testing ground for what a “smart city” could look like. That’s where the Sidewalk Fellows come in. The 12 students were selected from a group of over 650 applicants and come from a range of disciplines, including engineering, architecture, health sciences and urban planning. They’ve been tasked with writing a report for Sidewalk Toronto with recommendations on how they would envision Quayside’s future, to be published in October. “What's exciting about Sidewalk Toronto is that we have a chance to push the needle on what it means to have an affordable city with great mobility and transportation options and a public realm that's beautiful, that people want to stay in and have children running around,” says Keisha St. Louis-McBurnie, an urban studies and political science student in the Faculty of Arts & Science. Sidewalk Toronto wanted the fellows to take cues from cities around the world when crafting their report – so they sent them across North America and Europe to meet with innovative city builders and gain insights on creating effective solutions to urban issues. Their travels took them to Copenhagen, Amsterdam, Boston, New York and Vancouver. The fellows met with the Sidewalk Labs team in New York City, saw how well-designed European waterfronts could bring people to public spaces, and learned about the different ways Vancouver was innovating to provide more affordable housing. “It was seeing those on the ground insights – it felt like I learned so much more than I would if I went there by myself for even months and months,” says Paul Seufert, who is studying engineering science in the Faculty of Applied Science & Engineering. Chan was particularly interested in speaking with European experts regarding the EU’s new data protection regulations and how they've worked to make those policies more equitable – an issue that will be particularly relevant when building a technologically focused community like Sidewalk Toronto’s Quayside. “My interest here was looking at the power asymmetries that exist in digital and data governance structures and seeing ways to mitigate that and go beyond legislative requirements in privacy but also data stewardship,” she says. Now that the fellows are back from their travels, it’s time to go to the drawing board to draft their report. “I went in with a lot of questions about city building and I came out with even more questions about city building,” says St. Louis-McBurnie. Her big focus for the report will be addressing the inequalities and housing insecurities of some of Toronto’s most vulnerable populations. "In the context of our city’s widening socio-economic disparities and political divisions, I believe it is crucial to ensure that Quayside will be a model for equitable and inclusive mixed-use and mixed-income neighbourhood development,” she says. Carol Yeung, who is studying industrial engineering, has come to see the importance of public engagement and consultation – a practice she hopes Toronto’s city builders will continue to improve upon. “That's a culture I want to find in Toronto if it already exists or build up if it's in its starting stages because that was very interesting to see,” she says. The fellows will be presenting their findings to Sidewalk Toronto’s senior leadership in October and will help to inform the Master Innovation and Development Plan (MIDP), says Megan Wald, director of design and communications at Sidewalk Labs. “The University of Toronto fellows have brought a passion for their city and curious intellect that contributed to critical research on, and exploration of, how urban technologies can create more sustainable, affordable and liveable cities,” she says. This drive to build better cities will make for a report that could have influence beyond the Quayside development, says Pamela Robinson, the Sidewalk Fellows’ academic adviser as well as a Ryerson University associate dean in Faculty of Community Services and an associate professor at the School of Urban and Regional Planning.